In my previous post, I’ve told you that I’ve experienced with Sametime Meeting Browser Audio Video plugin. Long before that solution, I’ve upgraded all Lotus Sametime components to 8.5.2 IFR1 and because the error still persists, I’ve decided to revert snapshot to 8.5.2 and re-upgrade to 8.5.2 IFR1. The Lotus Sametime Community Server still using 8.5.2 IFR1 (no re-upgrade). That’s why the information of Lotus Sametime Community version in Lotus Sametime Server Console (SSC) still shown version 8.5.2. See the picture below. It’s been a year since my last update to this blog 😀 So I think I’ve to write a post again. This is may be the first post in 2013 but perhaps this is important post since I’ve googling around, I found no solution for this problem. Thank’s for IBM to help solve my problem. According to https://www-304.ibm.com/support/docview.wss?uid=swg21444533, commonly there are multiple XML files defined in the Composite Application portion of the application referenced in the error message. 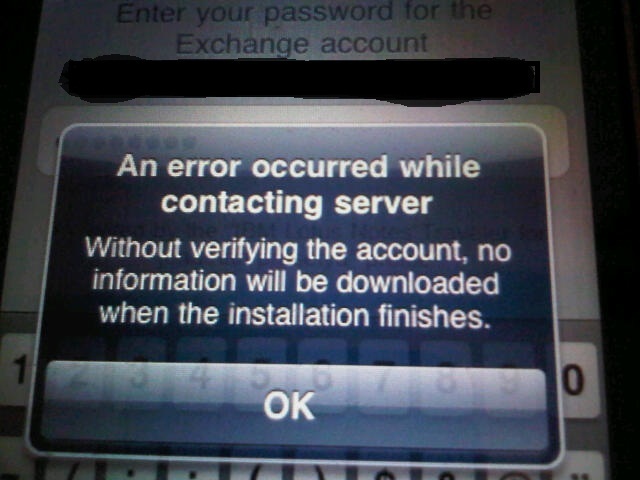 In my experience when you installed Lotus Notes Standard 8.5.1 Fix Patch 5 randomly caused this error. Thanks to Stephan Bovet for his post on the 8.5 forum for this solution. 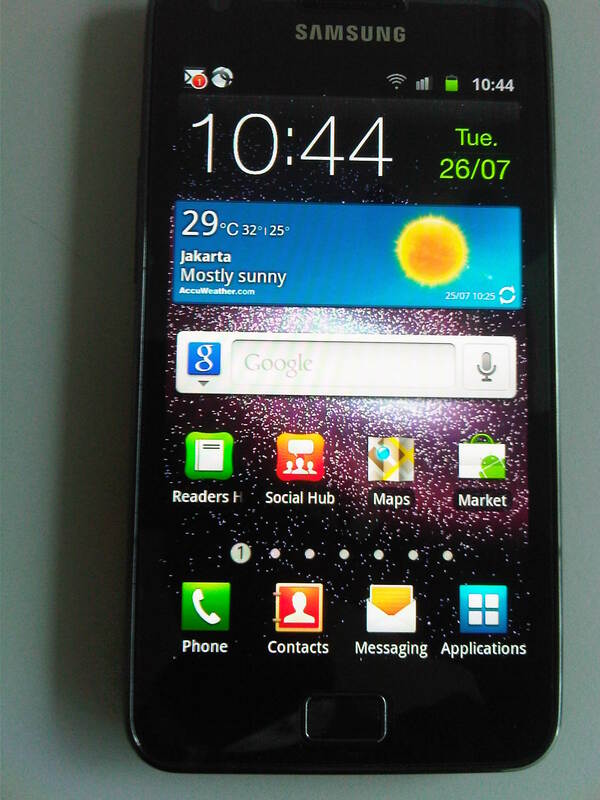 Recently I’ve bought Samsung Galaxy S2 (GT-I9100) with Android 2.3.3 Gingerbread system. Truly, it is an awesome device with Live Wallpaper, Widget, a lot of free software, corning gorilla glass (anti stretch glass), it is superior compare with iphone4 (apple should fear this). I’ve already knew since Lotus Notes Traveler 8.5.2.1 has support Android devices. In my recent article, i was wrote that Lotus Notes Traveler has support IOS (iphone, ipad, ipod) and it was easy to setup, no additional software installed just use Exchange Active Sync Account, your lotus notes mail will be deliver to your devices. But in android system, you must to install Lotus Notes Traveler application in order to push your lotus notes email but unfortunately, it wasn’t running natively. It means if you want to check your calendar, you must tap traveler calendar icon and if you want to check your mail, you must tap traveler mail icon, except for contact you can view lotus notes address book natively (built in within your devices). Even may be you have Exchange Active Sync account on your devices like mine, it is not working (or may be you’ve some tricks? please share and write comment below this article). I know, Android system has been installed on many devices not like Symbian only works on Nokia, IOS work only on iphone, etc devices, it means more add complexity but I think IBM should think to make Traveler running natively not through additional apps, so we can see calendar, contacts and mail even widget in Android Devices built-in software not additional software like Symbian, Apple does even on Blackberry no additional apps to push/sync your email, contact and calendar. This Friday is a freaky day because suddenly after I’ve restarted our sametime server, all user can’t log in to sametime. first things first, I was checked my windows firewall is ok, all open has been open. But when I’ve checked sametime service, i’ve seen stmux.exe (Sametime Community Multiplexor) was failed to running. I’ve already start manually but it failed to start. On the next step, I was go to server document – ports – internet ports – web tab and I was found on TCP/IP number is port 80. I thought may be this port cause stmux service problem, so I was changed these port to 8080 and magically stmux service is now running again. Beberapa minggu ini saya dipusingkan masalah Lotus Notes Traveler yang mengalami error pada handheld iphone & ipad. Tetapi anehnya pushmail pada handheld Nokia tidak menemui masalah hanya pada handheld iphone & ipad saja. Setelah dicoba berkali-kali mensetup dengan berbagai cara dimulai dari non aktifkan SSL, manual setup, dll akhirnya saya menyerah dan mencoba untuk mereinstall lagi Lotus Domino Pushmailnya tetapi kali ini dengan masuk dalam 1 DNN (Domino Name Network) karena sebelumnya Lotus Domino servernya disetup dengan beda DNN. Benar saja, setelah clientnya disetup lagi, Lotus Notes Travelernya langsung online dan tidak ditemui seperti error di atas. Pushmail untuk Nokia & Windows Mobile pun juga tetap lancar. So my advice, jika anda berencana ingin membangun server Lotus Notes Traveler demi menghindari error seperti di atas, sebaiknya dimasukkan ke dalam satu DNN. When user try to login using Lotus Notes shown error : “Insufficient Memory – Group Cache Pool is full”. Even though you re-certify user cert id and try to delete this user and re-create again. The error still shown when login to Lotus Domino using Lotus Notes. 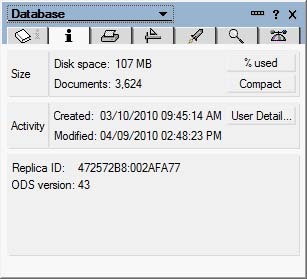 If you think that you want to copy lotus notes nsf data from remote domino server using replication a new replica, then i think you have a wrong solution, because how can you replicate your nsf data while you are in a slow network such as in VSAT network? It is happened to me when i’ve to deploy domino server in remote site with only 64 Kbps and the database you’ve to copied 1 GB for each nsf application. Lucky, i’ve local database replication copy from user’s PC. 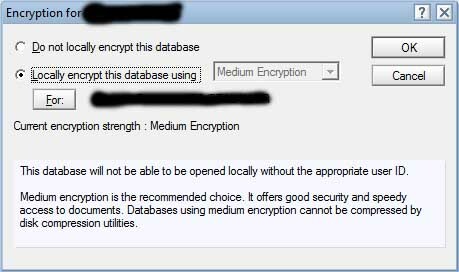 When i’ve to restore lotus notes email using user local database copy, unfortunately the domino shown error dialog box “this database has been encrypt bla bla”, it was happened because when user create a new replica database, Lotus Notes tick enable encryption by default. It means this traditional copy is not a complete solution. Open Lotus Notes application workspace, right click at email or nsf application that you want to disable it. After that you have to compact the database to applied the new settings you’ve made. Still in database application properties, go to tab “i” and click “Compact” button. 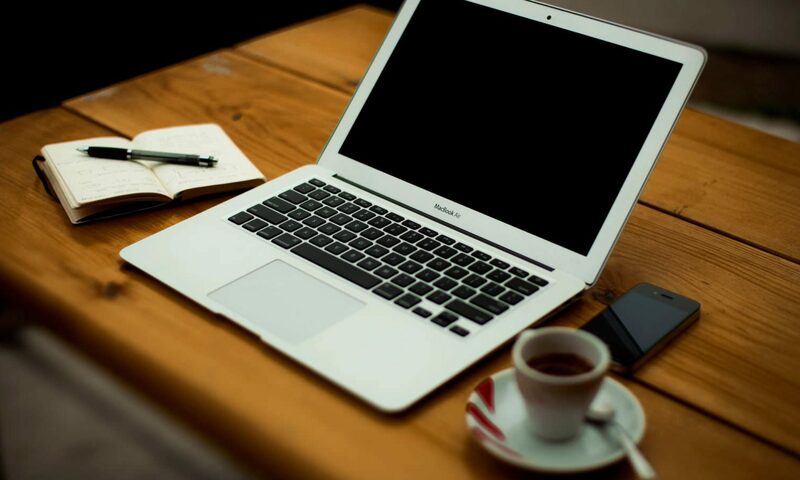 After that you can copy your notes dabatase such as email, etc to your domino server. When you open the email, especially from outside your corporate domain (mostly HTML format), the mail will takes a very long time to be opened. It will happened when you install Lotus Notes 8.5 Standard / Eclipse Edition & Internet Explorer 8. If you have process monitor installed, you can view that notes2.exe will check all sites (Restricted Sites) are in Internet Explorer 8 internet settings. After that notes2.exe do query open in file “C:\Program Files\IBM\Lotus\Notes\framework\rcp\eclipse\plugins\org\eclipse\osgi\framework\internal\protocol\about\Handler.class” but the result is not found repeatly (may be hundred times according the restricted sites amount). Then the email will be opened after 1-2 minutes query. You have to delete all Restricted Sites list from Internet Explorer settings in Tools – Internet Options – Security – Restricted Sites – Sites. Or you can remove the list manually from registry in HKCU\Software\Microsoft\Windows\CurrentVersion\Internet Settings\ZoneMap\Domains & \EscDomains & \Ranges. Also remove in HKLM\Software\Microsoft\Windows\CurrentVersion\Internet Settings\ZoneMap. File – Preferences – Basic Notes Client Configuration – Cek “Disable embedded browser for MIME mail”. thank’s Carlos for this great solution. Is it bugs or not?